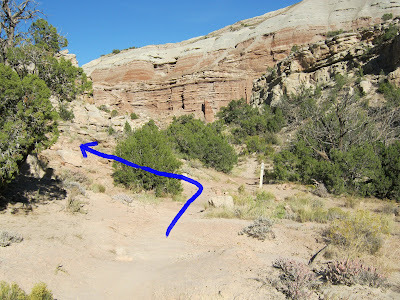 The Andy's Loop trail is part of the Tabeguache Lunch Loop Trail System located just off Monument Road in the Redlands area of Grand Junction. Andy's Loop is a little less than 3 miles in length by itself. The remaining distance is made up from joining the Eagle's Tail and Tabeguache trails to form a 7 mile loop. Andy's Loop is probably the toughest hike in the Lunch Loop Trail System due mostly to its overall elevation gain of more than 1000 feet and a particularly rough section of trail above the Echo Canyon area. Don't let the elevations listed above fool you. There are several spots along the way where the trail makes lengthy descents and then ascends to reclaim the previous elevation and more. The Lunch Loop Trail System is managed by the BLM in cooperation with the City of Grand Junction and Colorado Plateau Mountain Bike Trail Association (COPMOBA) To show your support and appreciation for all the hard work put into building and maintaining these world class trails, and others in the area, you can make a donation at the trailhead or on the COPMOBA website. The Andy's Loop trail begins about 1 mile from the main trailhead. 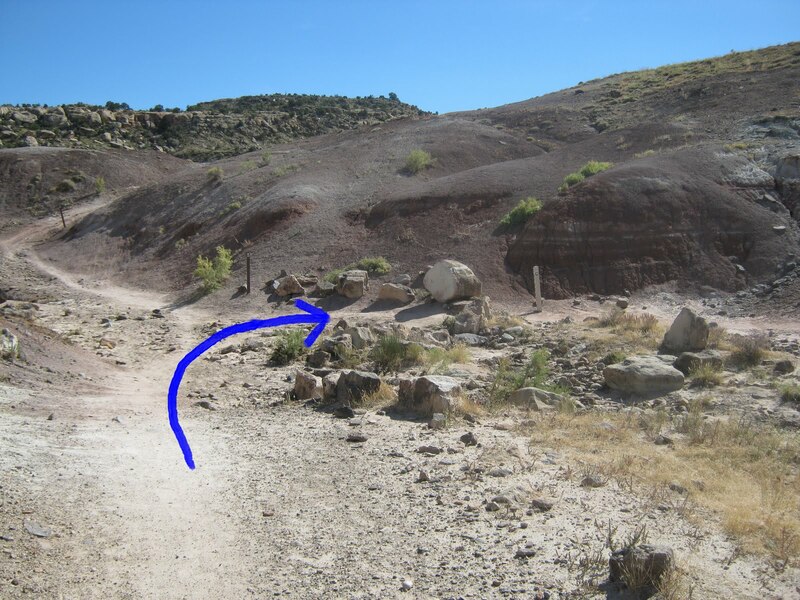 The first portion of the route is along the Tabeguache trail. After crossing a seasonal stream bed the trail travels up a wash for almost a quarter mile. Within a half mile of the trailhead the Eagle's Tail trail branches off to the right from the Tabeguache trail and continues to follow the main wash. The Pet-e-kes trail forks off to the left after a couple more tenths of a mile and then around a mile and a half from the trailhead the Andy's Loop trail begins by forking off to the right from the Eagle's Tail trail. Andy's Loop makes its first descent dropping off towards No Thoroughfare Canyon. The trail is a little rocky in a few places but still pretty enjoyable for hiking or mountain biking. After descending from the Eagle's Tail trail the route begins following another small wash. The trail has been rerouted to avoid some private land that has since been fenced off. They did such a good job with the new route that it looks like it has always gone this way. For about the next mile the trail climbs up and around the south side of the mountain. When the trail reaches the south side of the mountain it descends into the wash that spills into Echo Canyon. Once the trail enters the wash you can walk down stream about a hundred yards and look down into Echo Canyon and check out how the spillover looks from the top. Right around 4 miles from the trailhead Andy's Loop heads out of the wash and back up the hillside. There is a trail marker here marking the beginning of the Ribbon Trail. The trail keeps climbing through a collection of massive boulders until it reaches Little Park Road. At Little Park Road there are several options on how to get back to the main trailhead. The shortest route is to follow the road to the top of the Tabeguache trail. Another option is to cross Little Park Road and take a section of the Gunny Loop. That's where it is nice to have a copy of the COPMOBA Lunch Loop map. 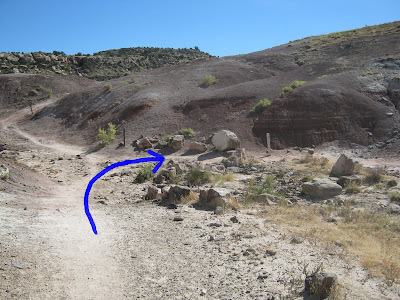 The upper portion of the Tabeguache trail has a few hills of its own that need climbing before you get to the point where it is all downhill to the trailhead. The big downhill run starts at the top of Widow Maker Hill. The rest of the way down the Tabeguache trail is pretty routine. 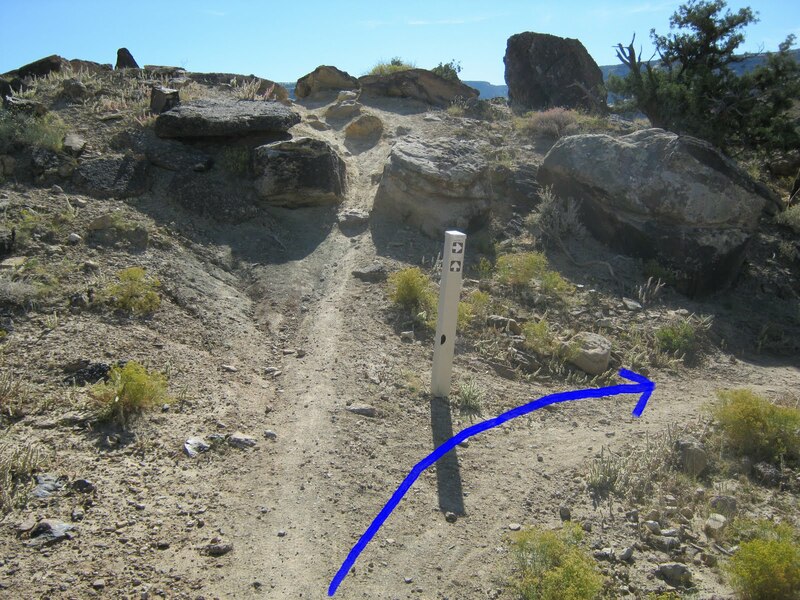 There are lots of side trails that can be taken as alternate routes. They are all fun to explore and each seem to have their own character. Andy's Loop is a good place to get off on your own although even when the Lunch Loop parking lot is packed with cars there are so many miles of trails for people to spread out on that it usually doesn't seem all that crowded. If you would like to see it for yourself then all you have to do is grab your bike or 'Take a hike'.